Yesterday, Grade 1 (Mrs. Macpherson/Mme. Shimada’s dual-language class) students visited the current exhibition in the Greene Gallery during art class with Miss B. 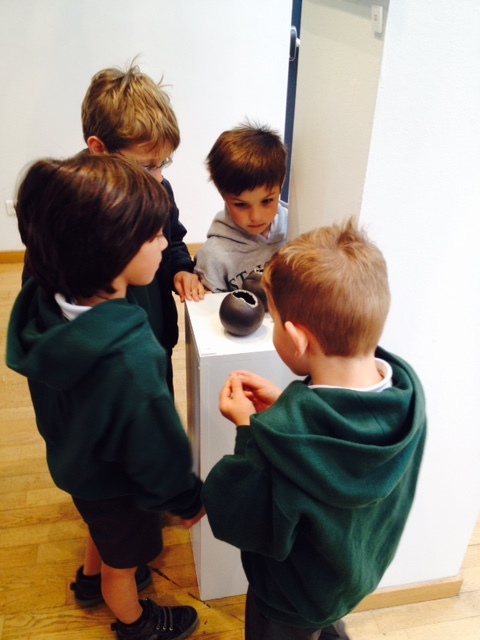 They were thrilled and impressed to see teachers’ artworks. 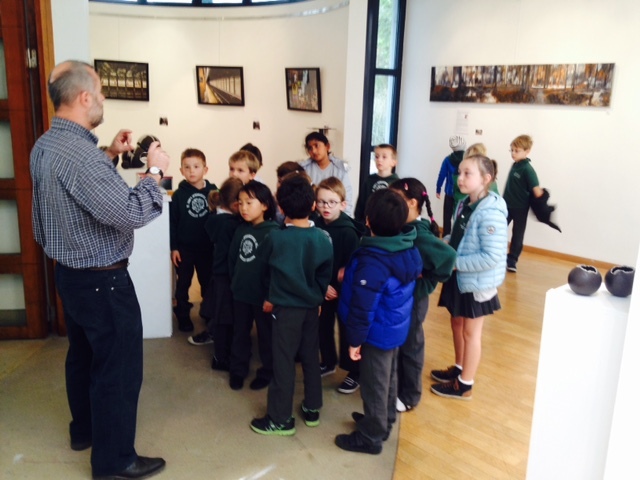 They met with Alan Mitchell (High School visual arts) and asked many questions about his painting process. They chose their favourite art piece, drew it and thought about the reasons of their liking. They showed very good critical thinking skills!